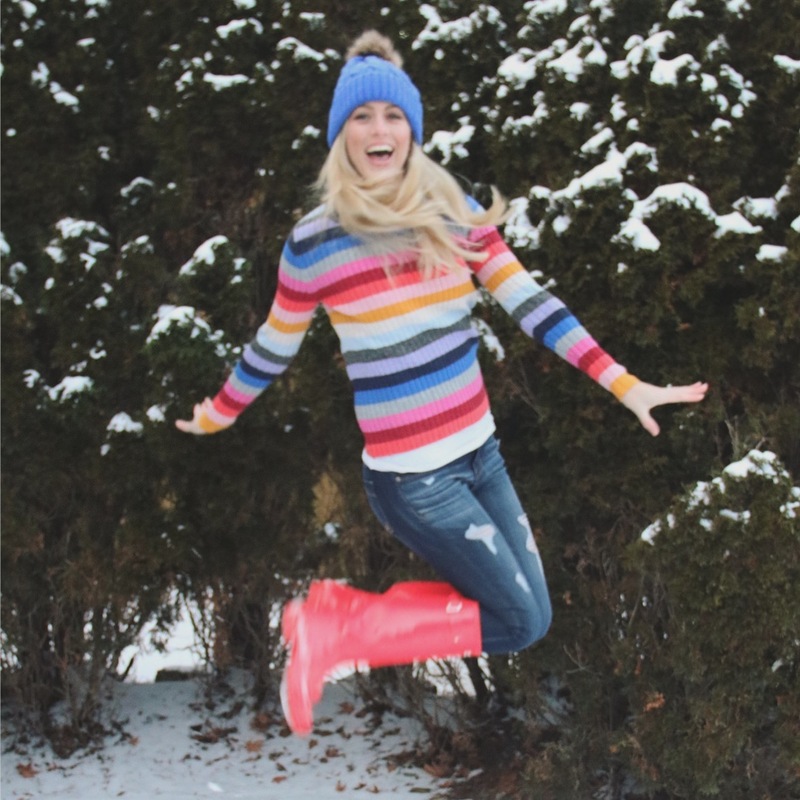 Nothing like brightening up those brutally cold winter days with colourful outfits! 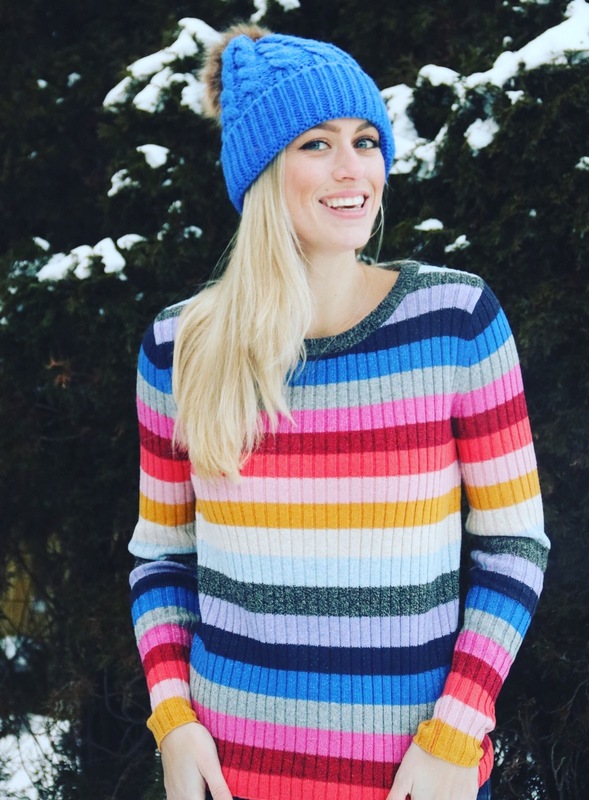 I saw this sweater on a couple of Instagram accounts that I follow, and I loved the huge pop of colour that came with it! Lucky for me, when I decided to finally give in and buy it, it was marked down BIG TIME! 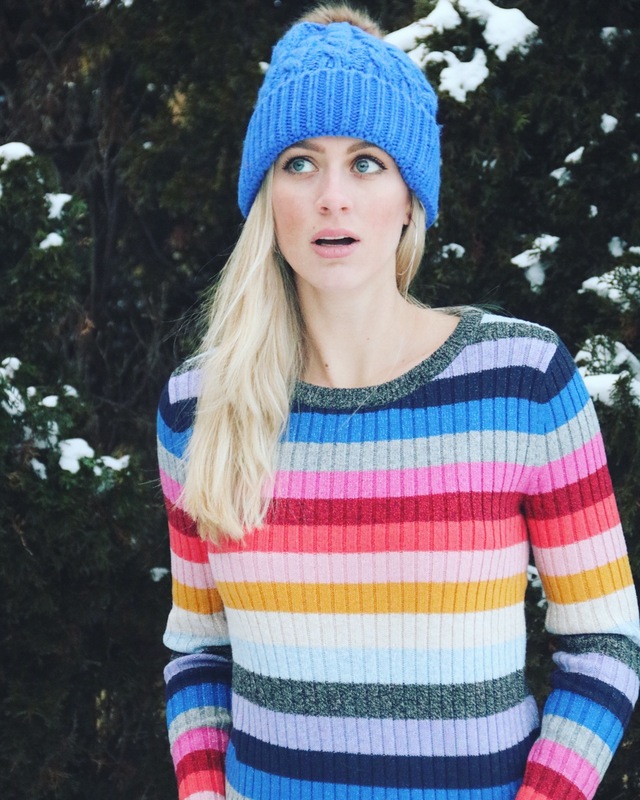 With so many colours in the sweater the accessory combinations are really endless! 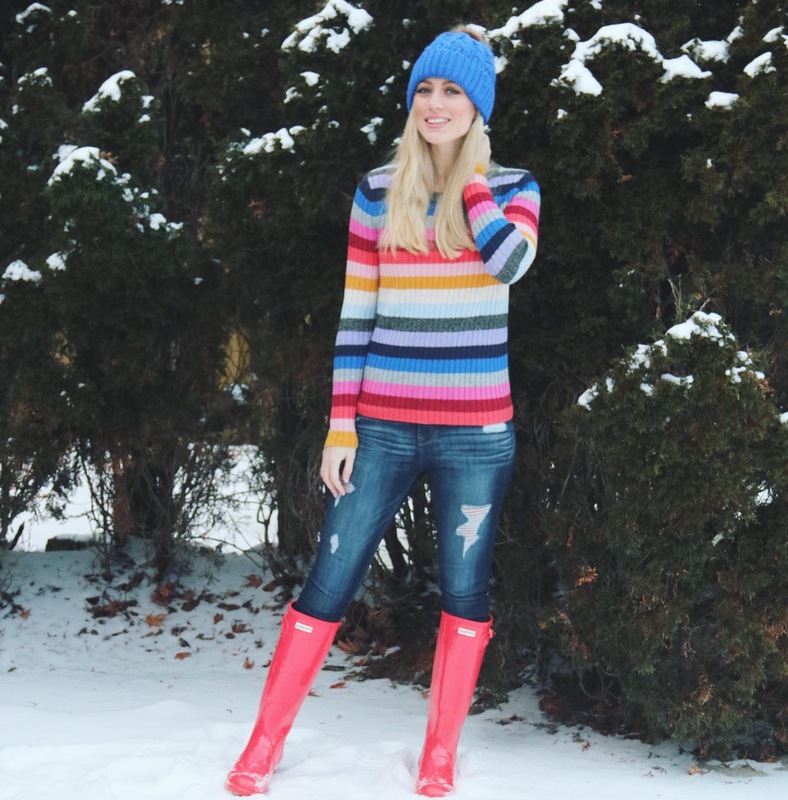 I decided to pair it with a bright blue pom pom hat, and added just that much more colour, with cherry red Hunter boots! I paired it with a metallic silver bubble jacket over top. This style has come back HUGE and I’m so happy about it! 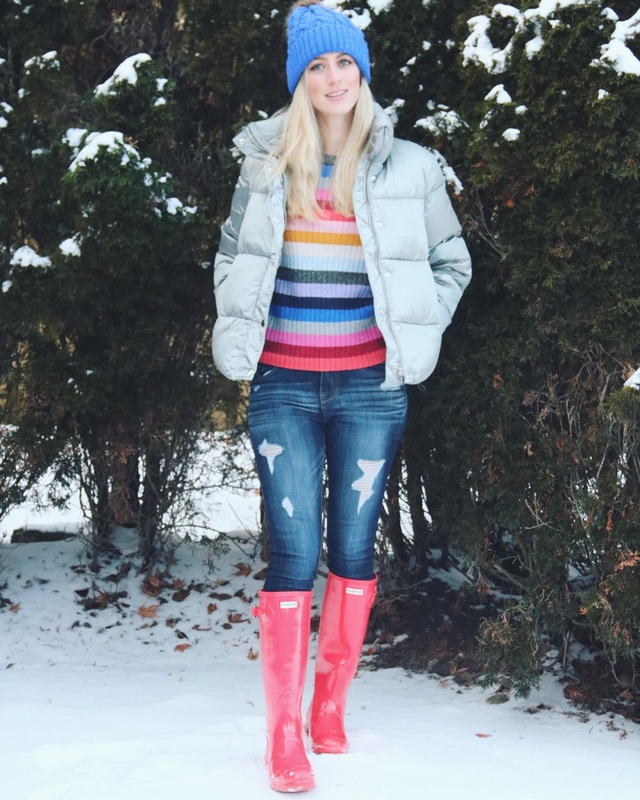 I grew up wearing Gap bubble jackets, so wearing this one reminds me so much of my childhood! I found this one on sale for only $25, it’s actually extremely warm too! It comes in a variety of colours but I decided to go with a colour that wasn’t too out there, but wasn’t just plain black like my everyday winter jacket. My fiancé likes to call it my space man jacket, and asks when I’m going to the moon whenever I wear it lol! 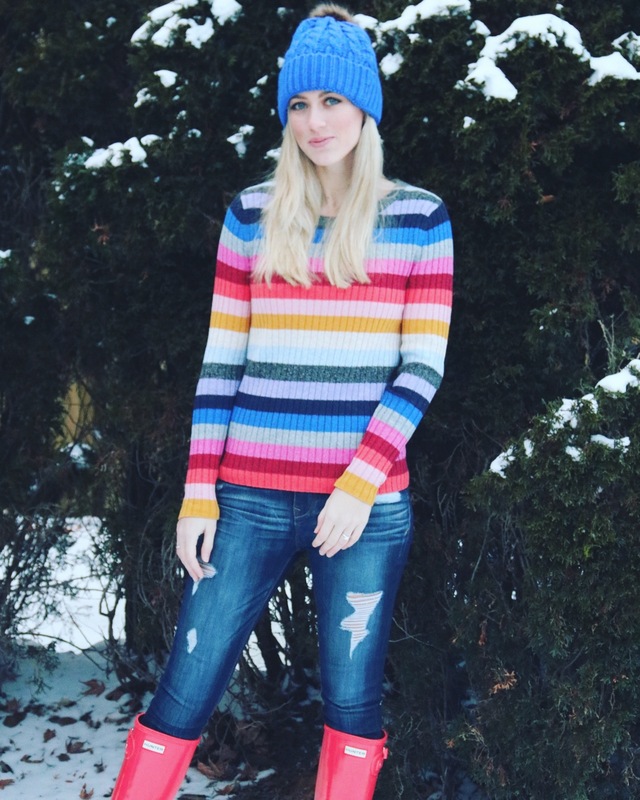 The sweater comes in two different styles, I opted for the one with all over sparkles (because sparkles are life) that, and it was the cheapest of the styles. The exact style I’m wearing is available here. I picked up my jacket on the sale rack in stores, it’s available online, but is showing for full price. 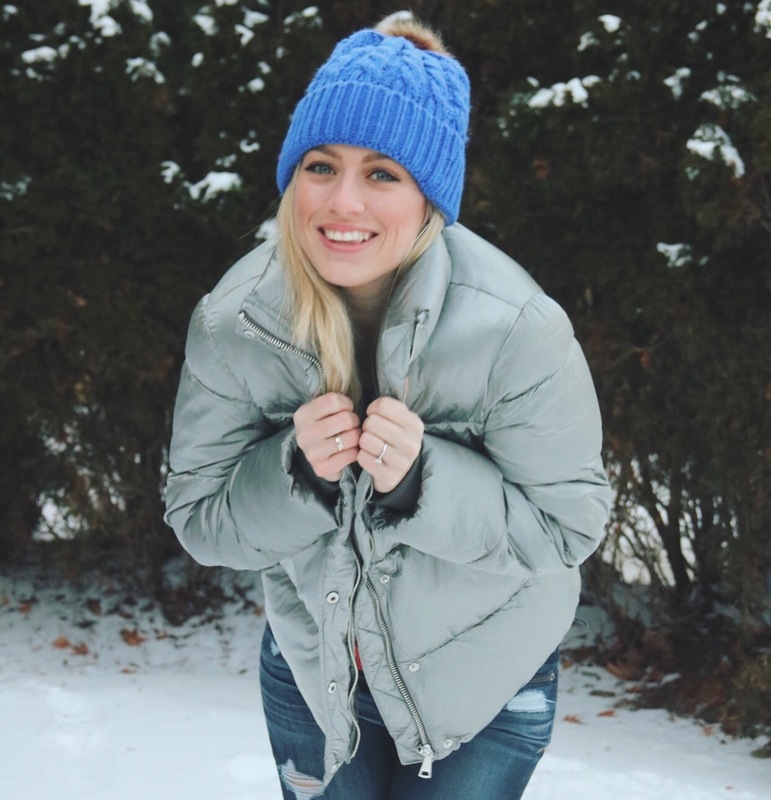 Pom pom hats have been super popular the past few years, so you can get them just about anywhere . This particular style I loved because of the bright blue, it really brings out my eyes! This was on sale last season from Obsessions Fashions .